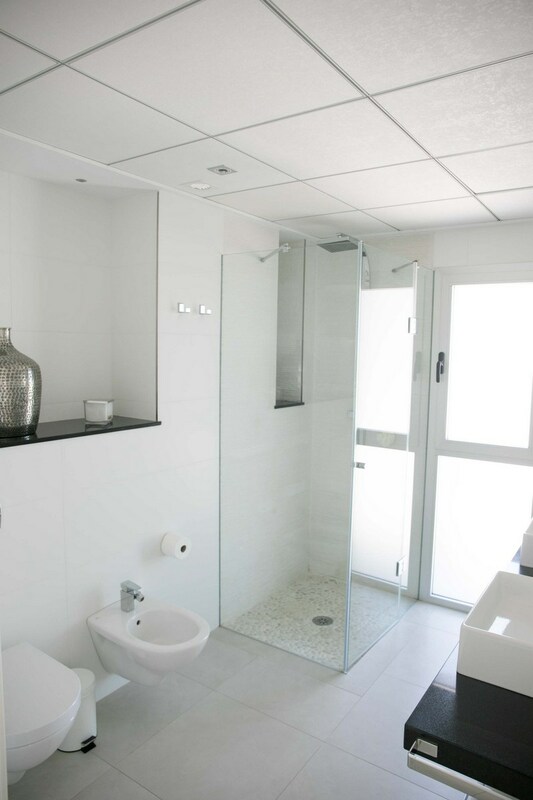 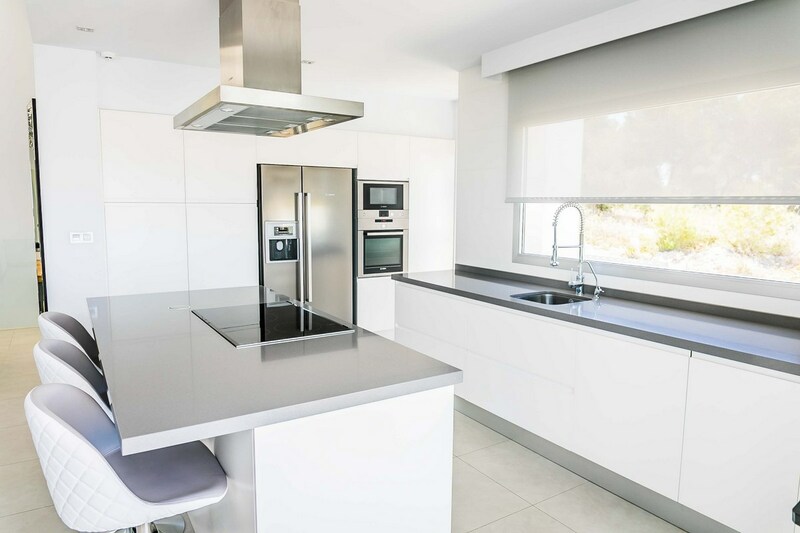 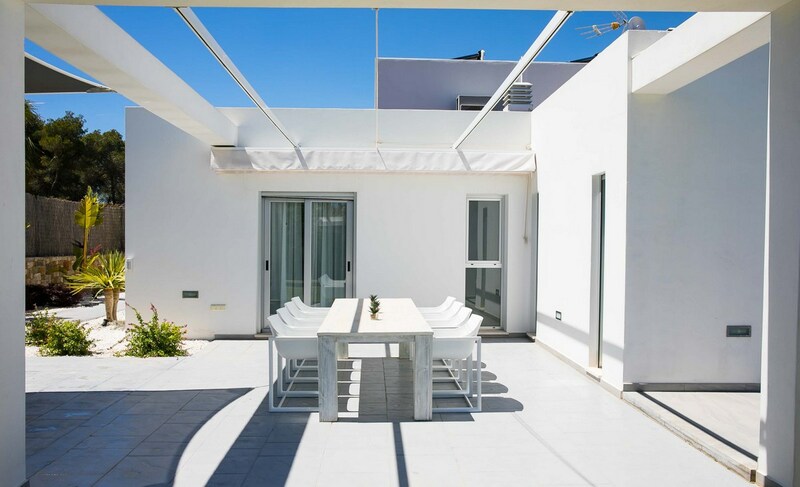 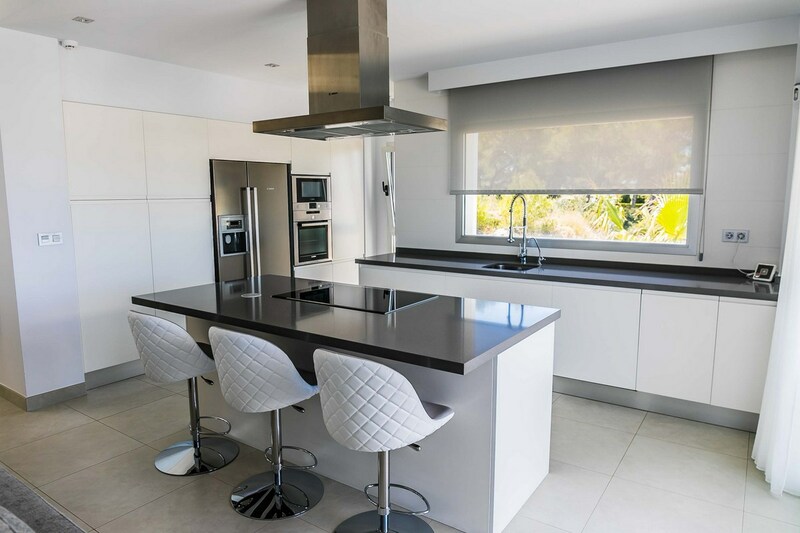 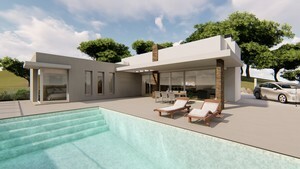 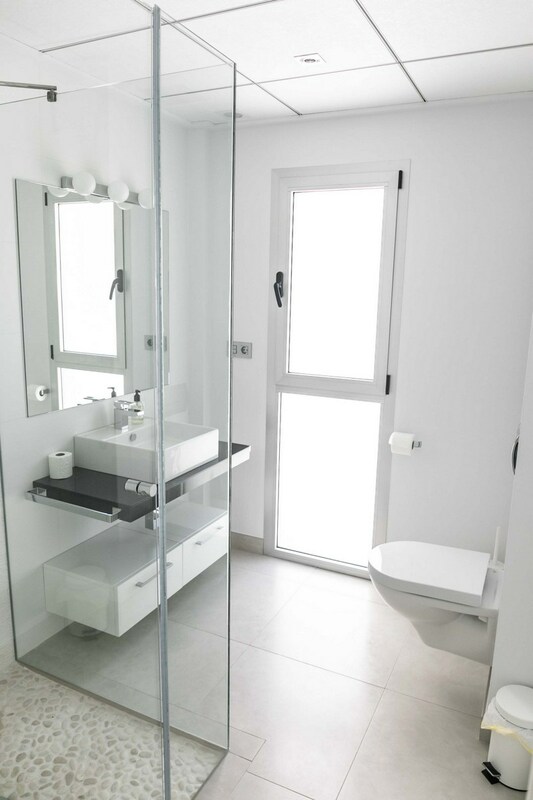 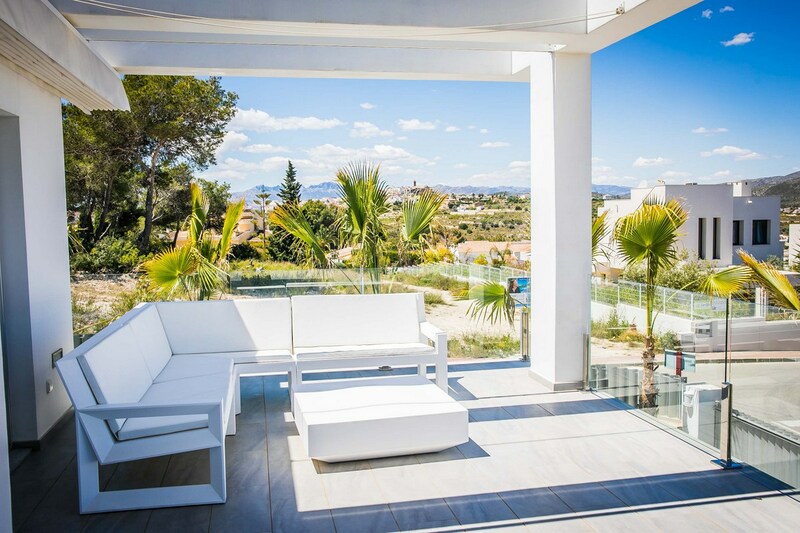 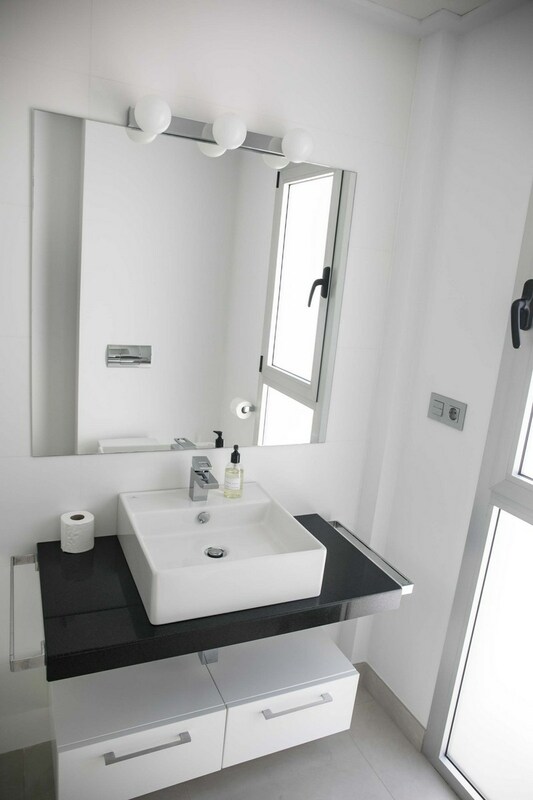 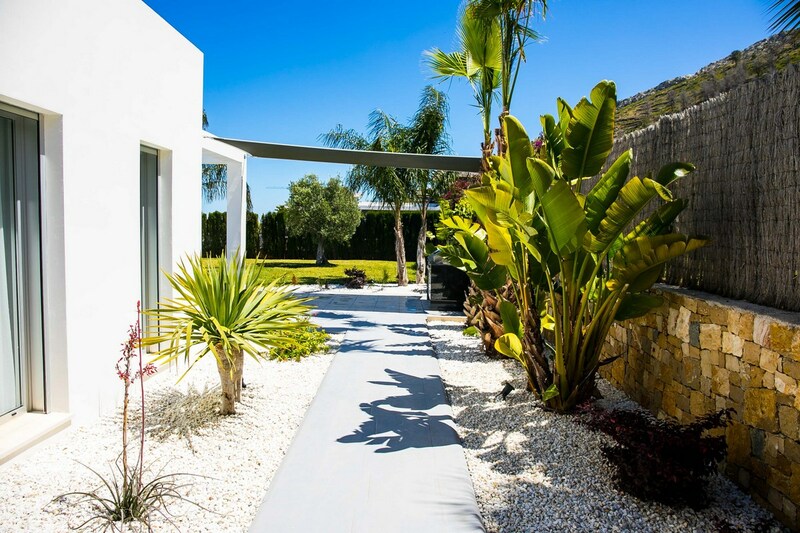 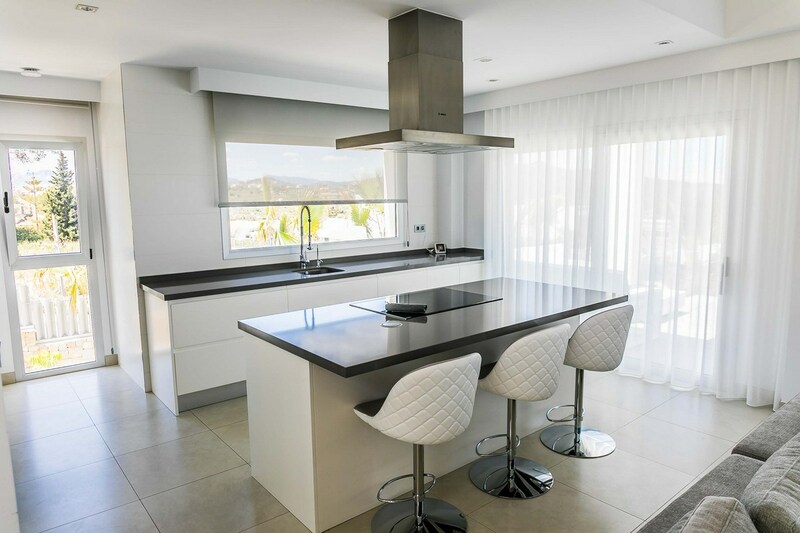 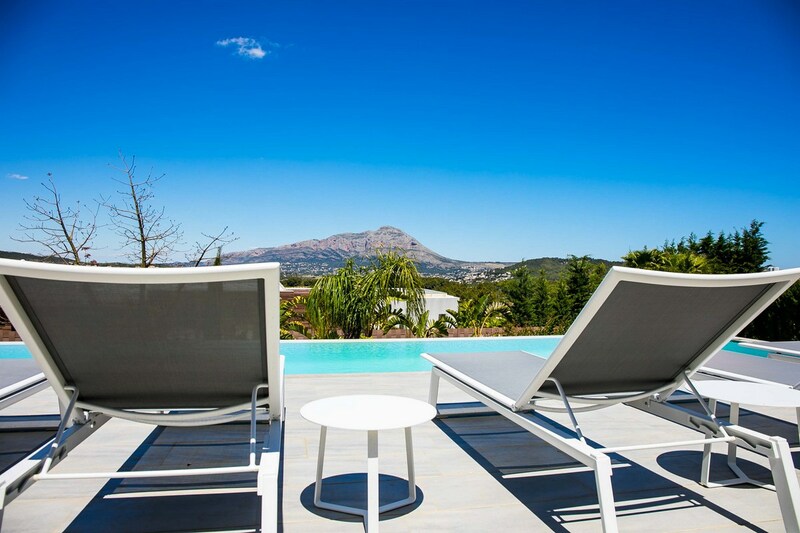 Modern villa for sale in Javea with sea view. 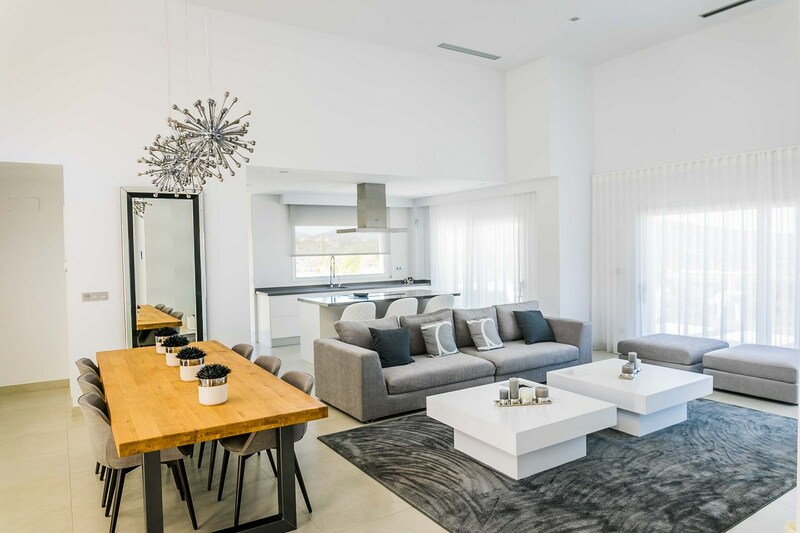 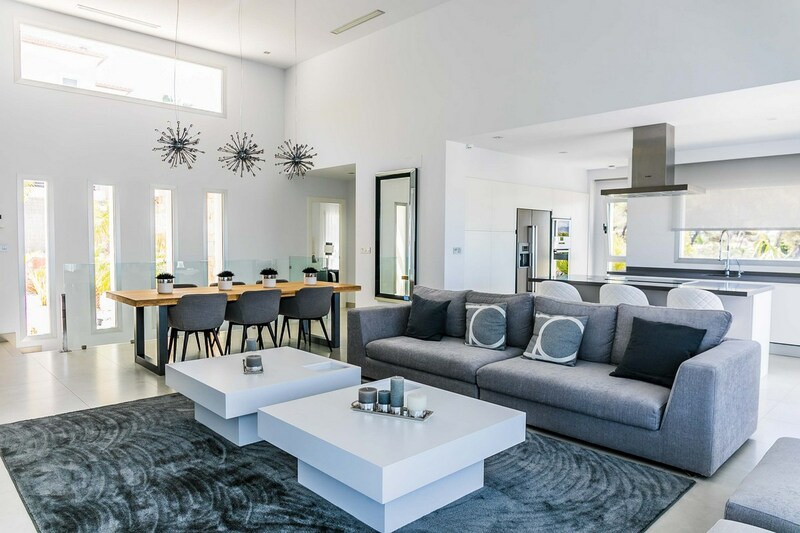 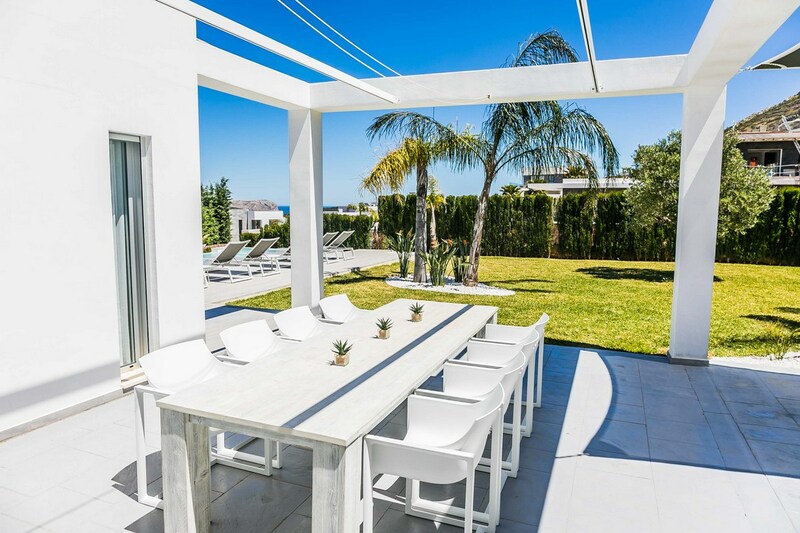 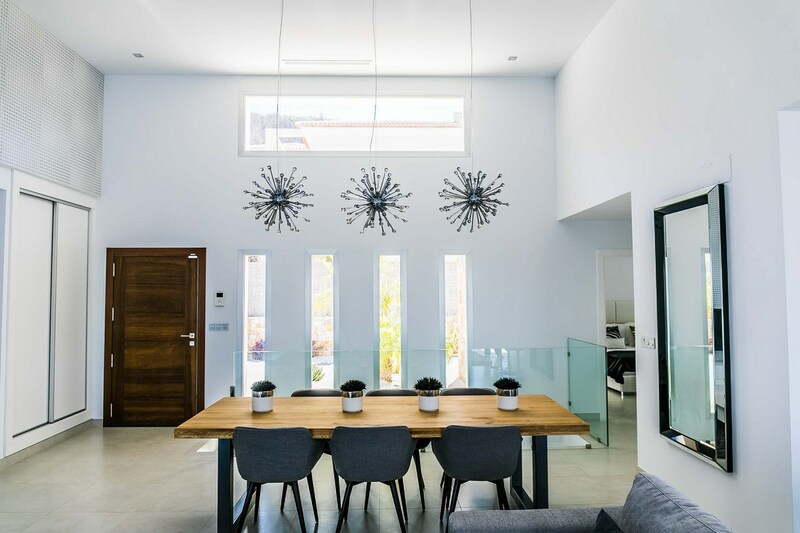 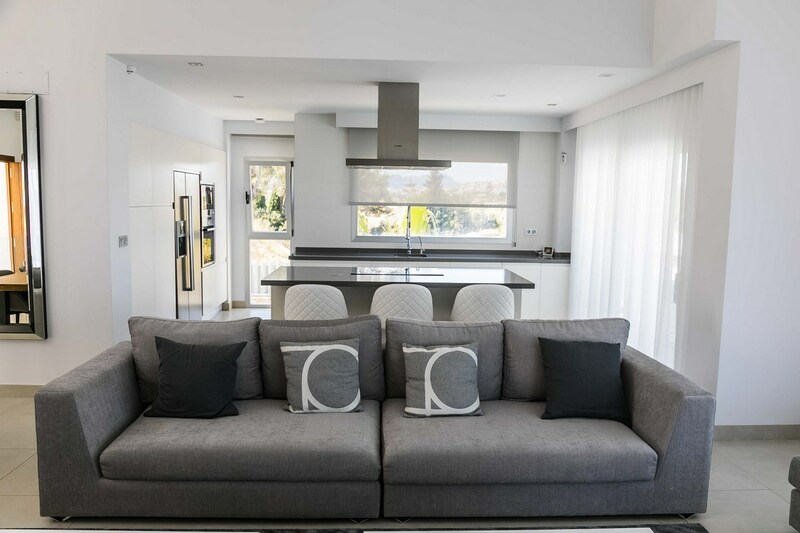 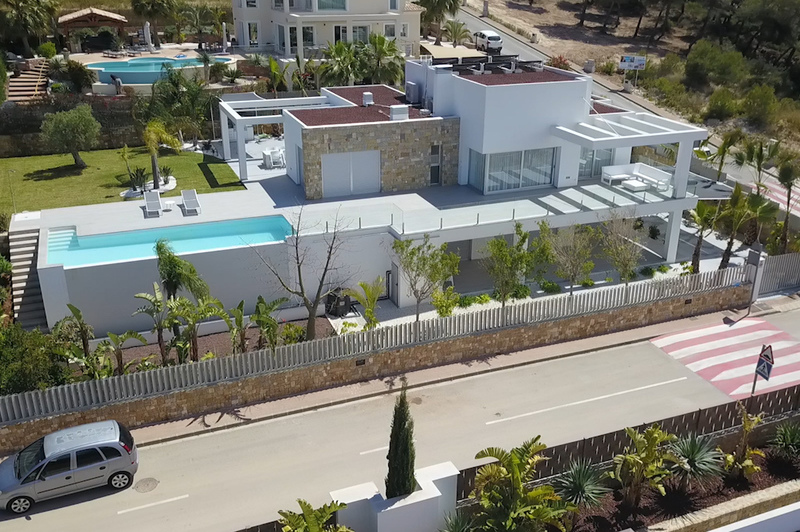 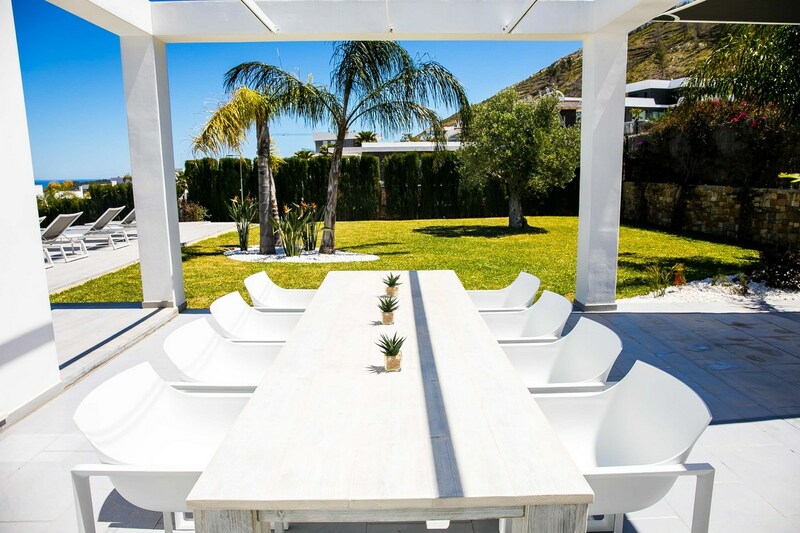 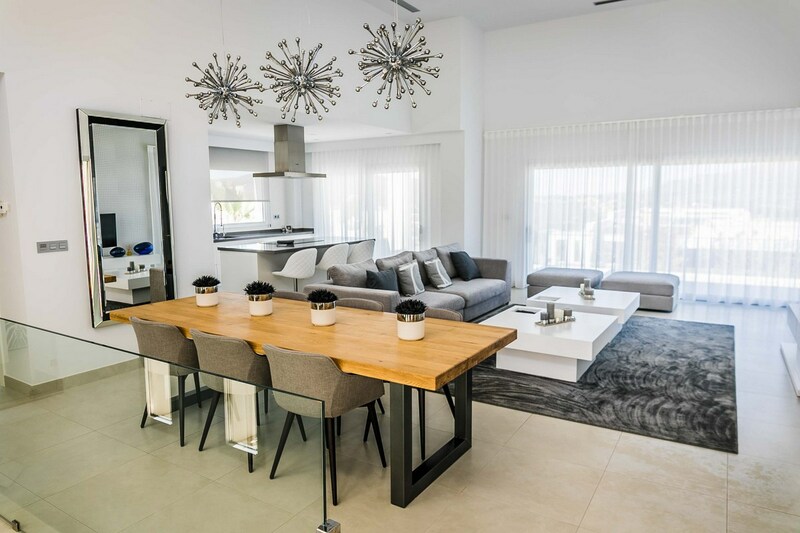 This modern villa is finished to the highest of standards and provides ultimate luxury, consisting of 5 large bedrooms, 5 bathrooms, large open plan kitchen and living room, outside summer kitchen. 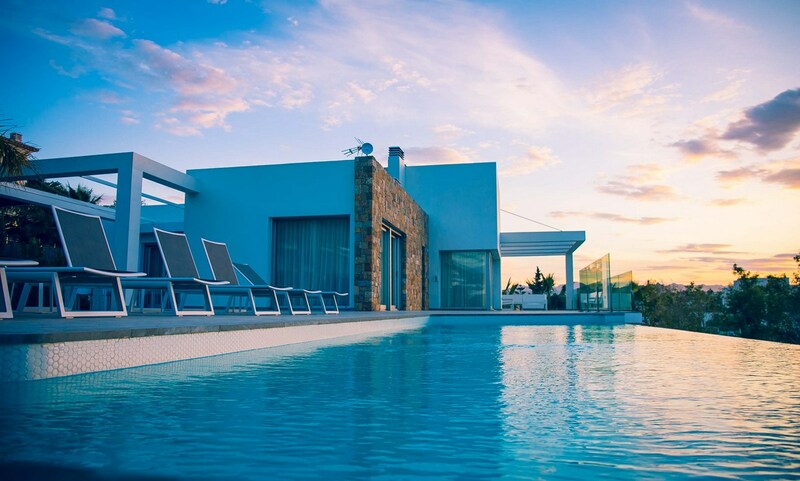 The outdoor pool is perfect for those long summer months and has amazing panoramic views of the Spanish countryside and with sea views. 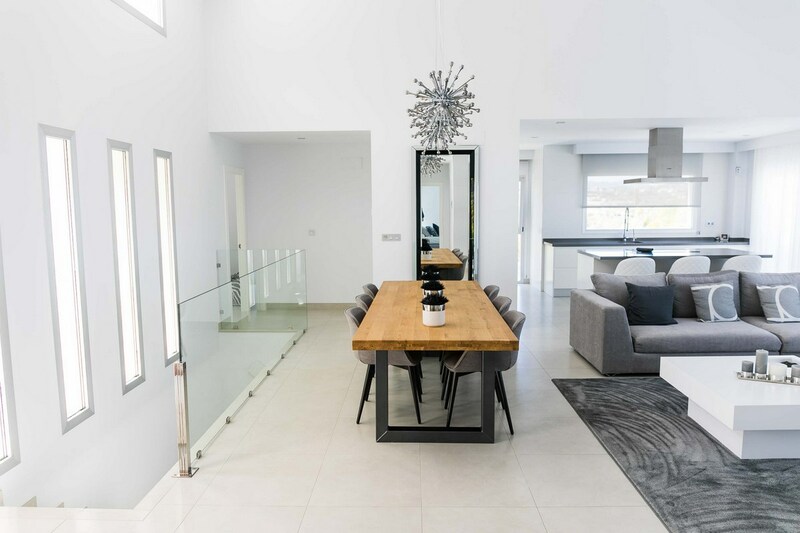 Contemporary in design, with lots of windows providing light and stunning views, the property has landscaped gardens and plenty of outdoor space to enjoy long summer nights including a BBQ for dining al fresco. 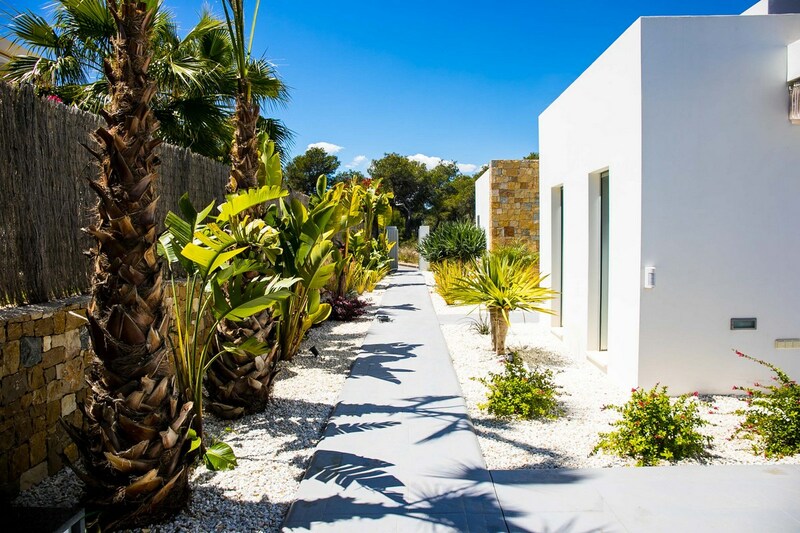 The property is over 2 levels, on the ground level you have Lounge/Dining Area, Kitchen, Guests Toilet, the master suite opening onto the stunning terrace and pool area, 2 double bedrooms with en-suite showers, on the lower level of the property you have the 2 further double bedrooms, a large bathroom, a separate lounge with access to the lower covered terrace, home cinema room, office and the villas utility and machine room. 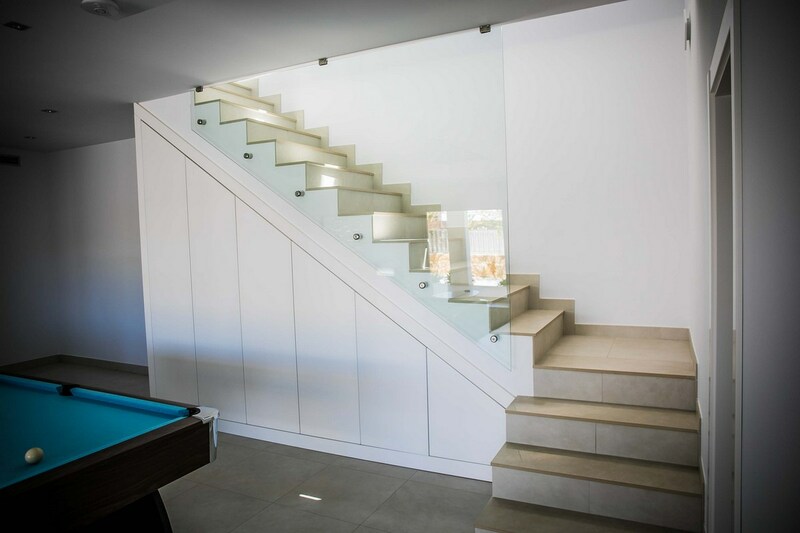 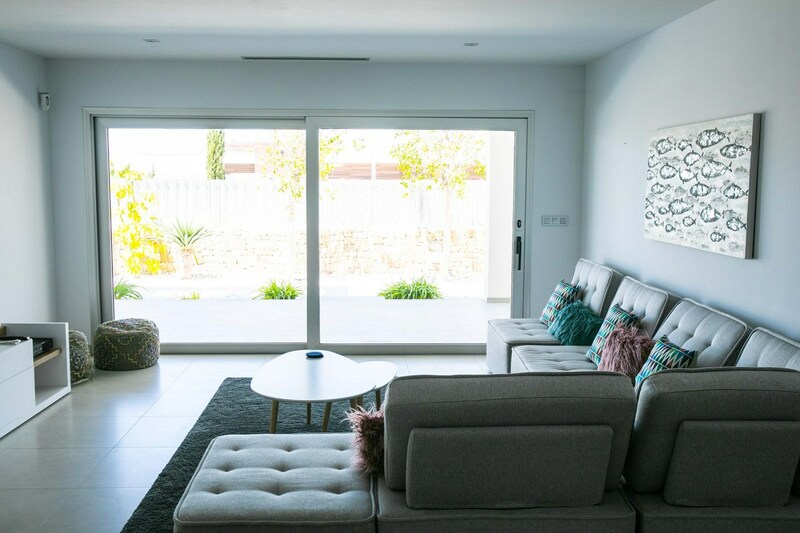 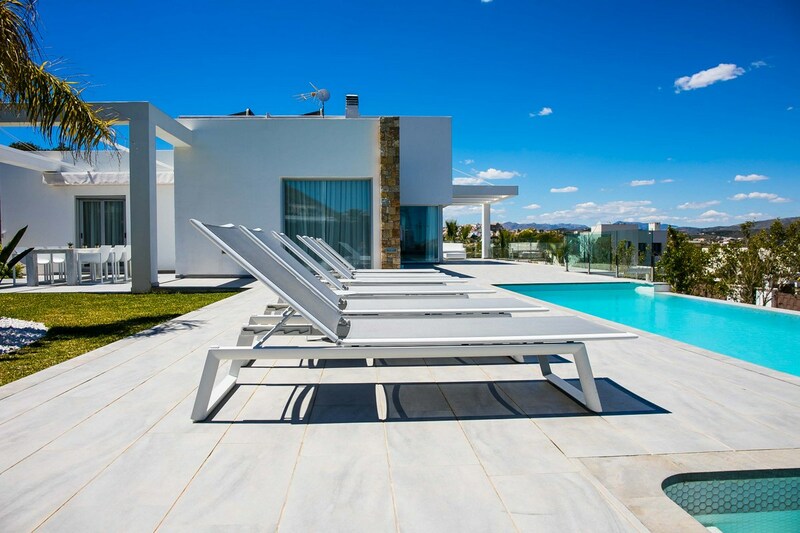 Furthermore the villa features the latest technology of domotic system allowing you to control lighting, alarm, heating, air conditioning and the pool heating with your mobile phone. 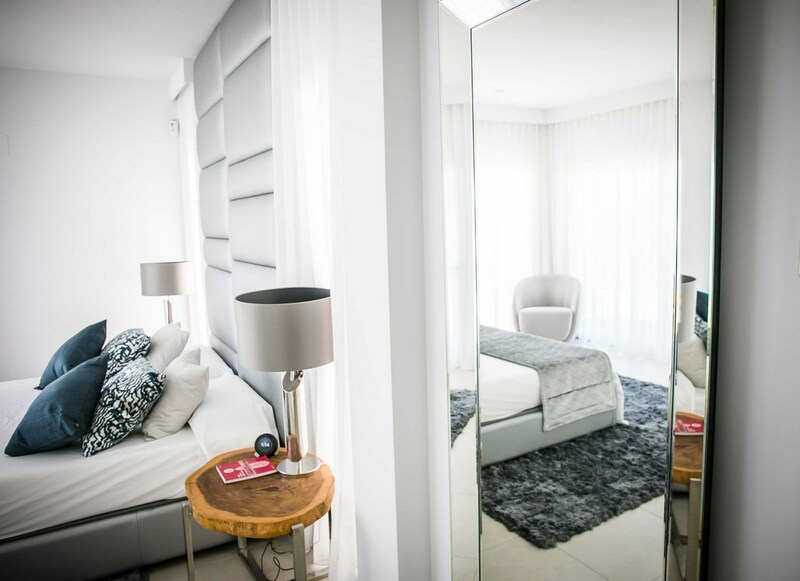 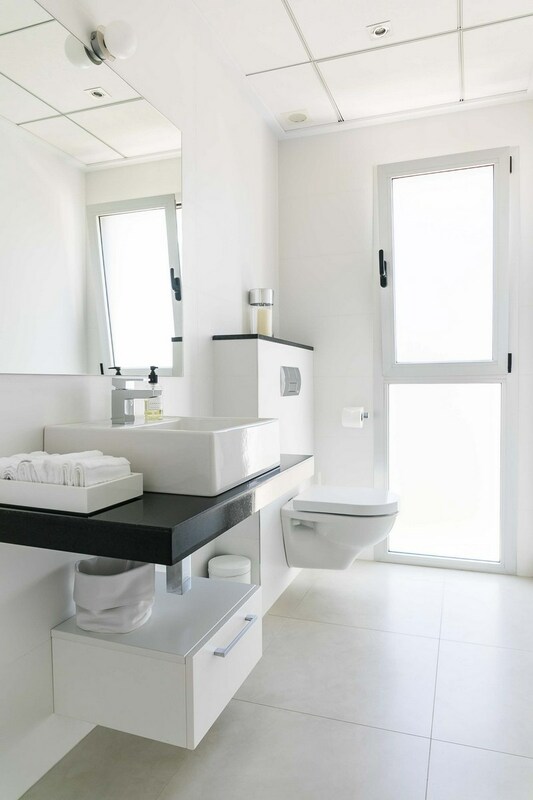 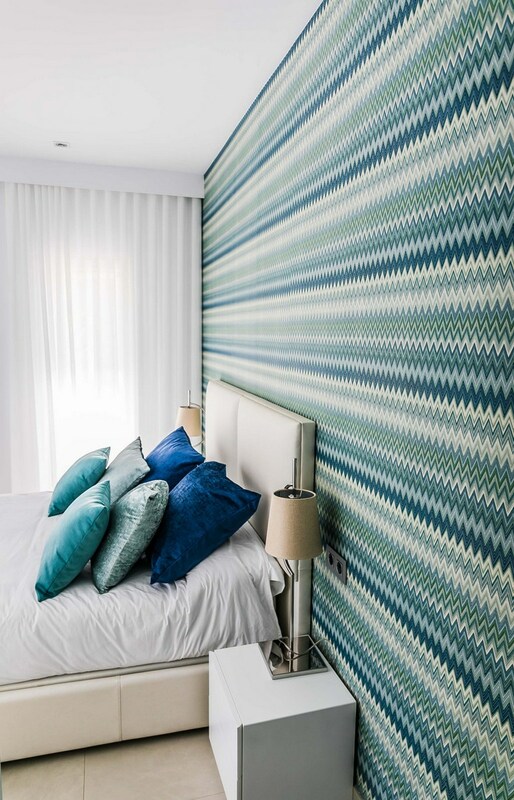 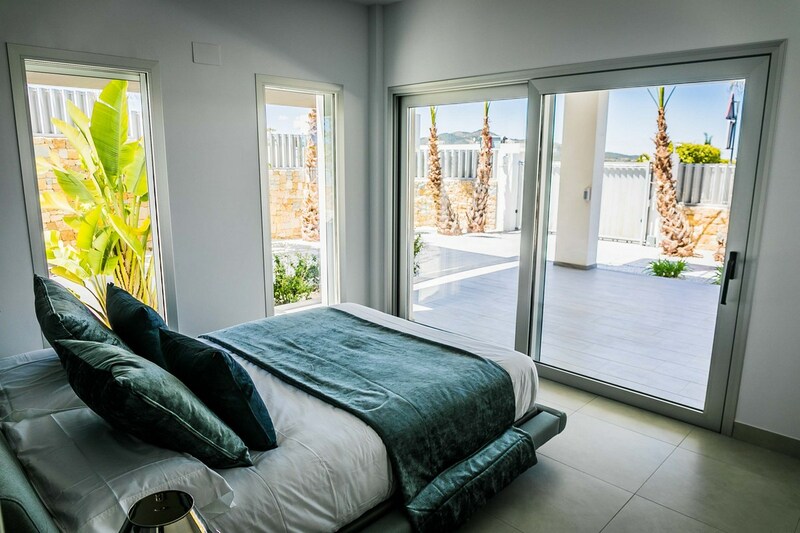 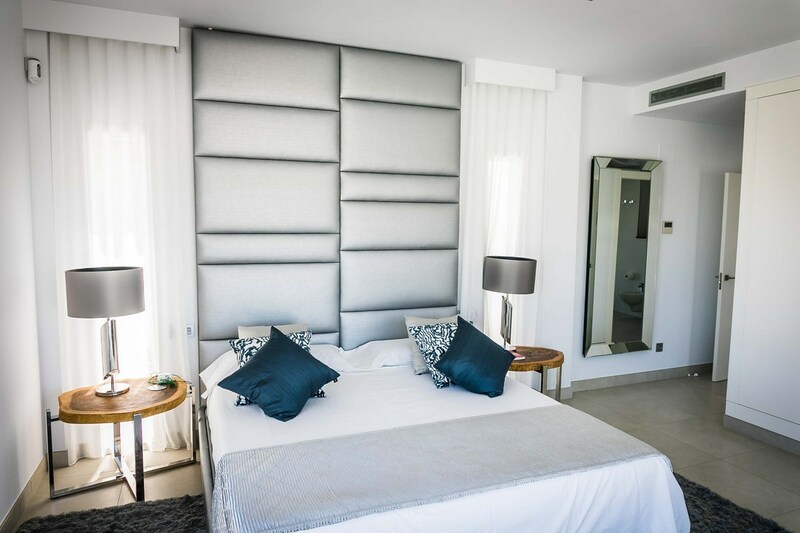 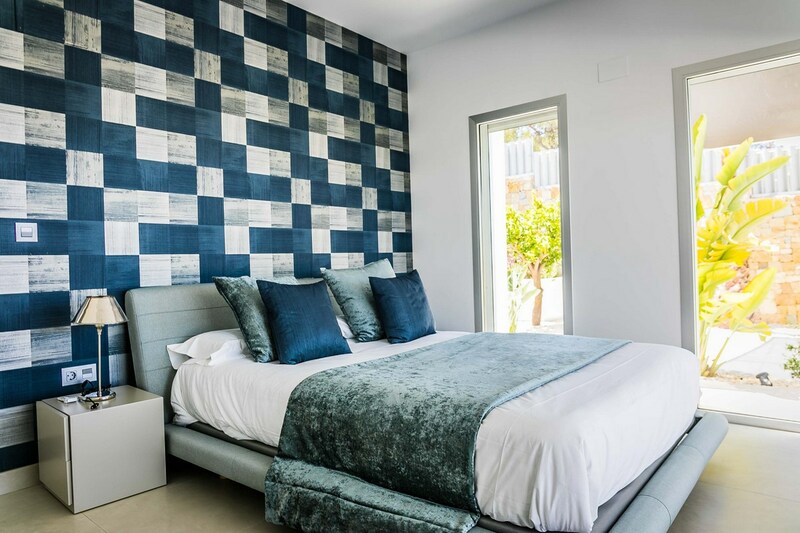 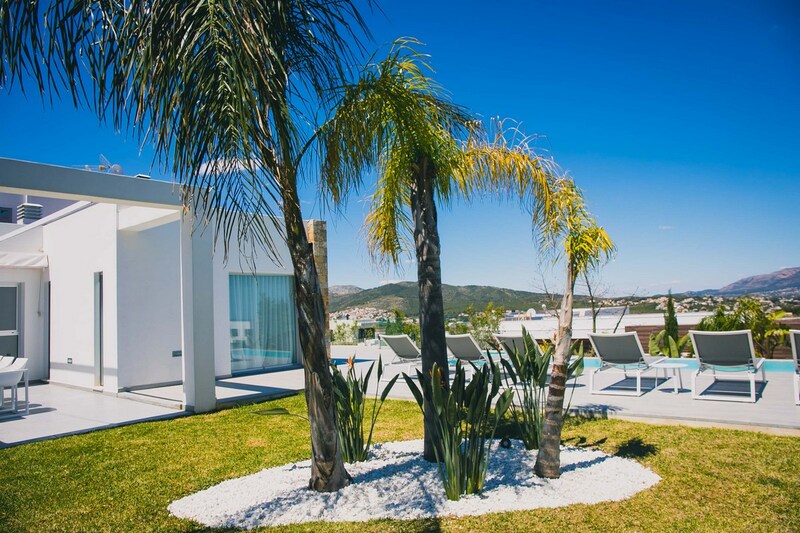 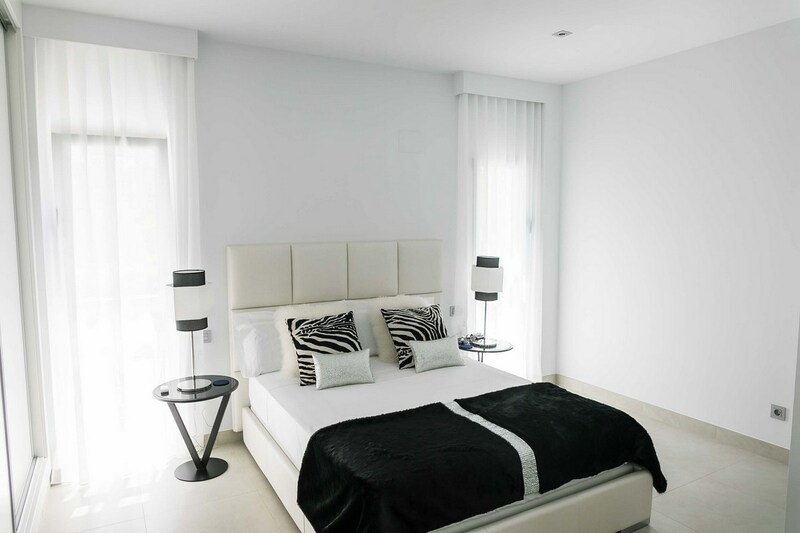 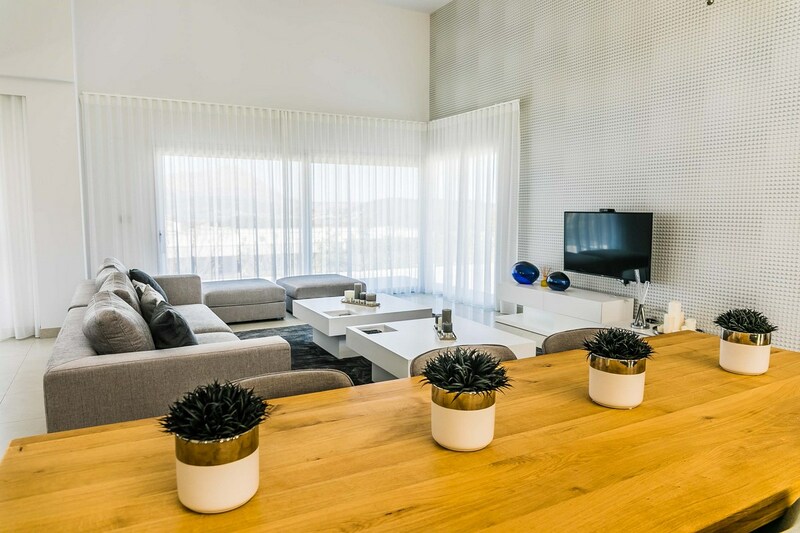 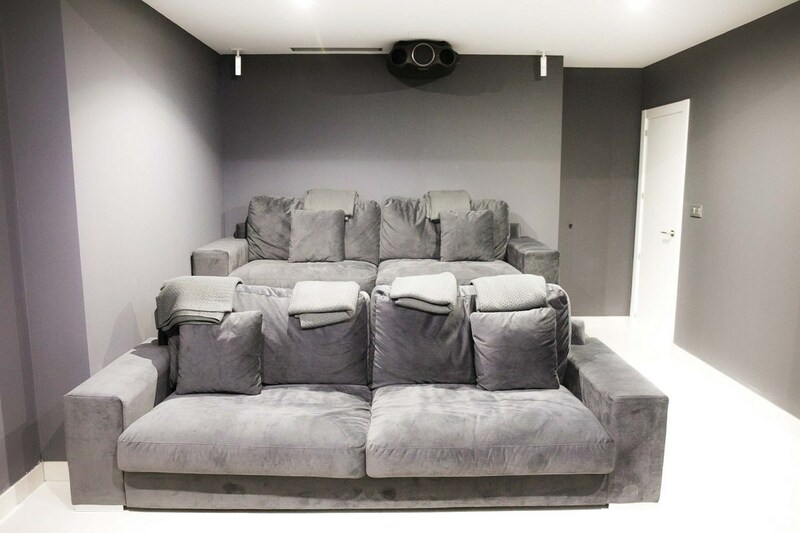 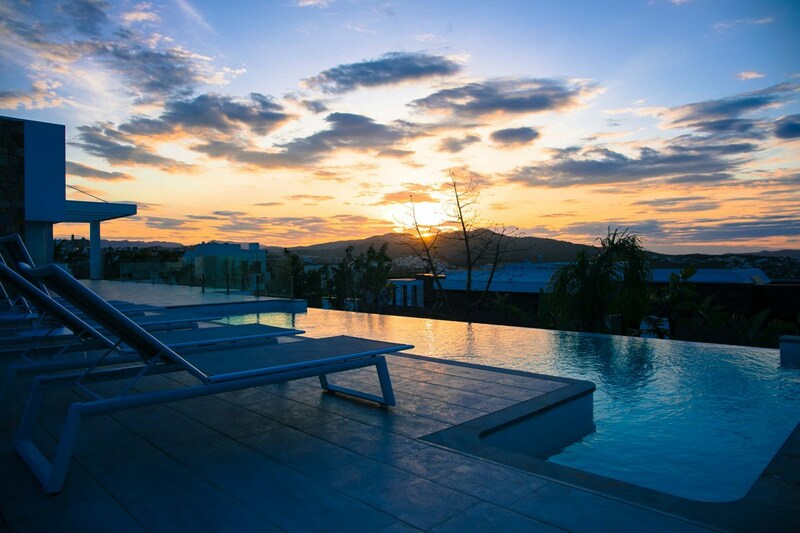 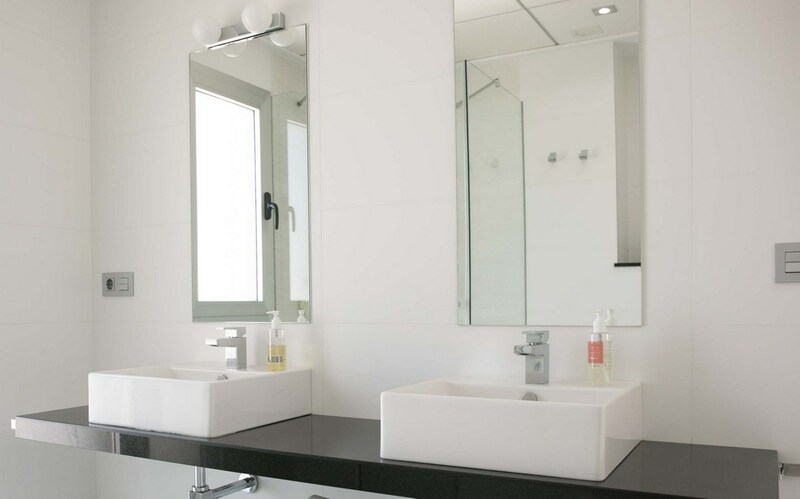 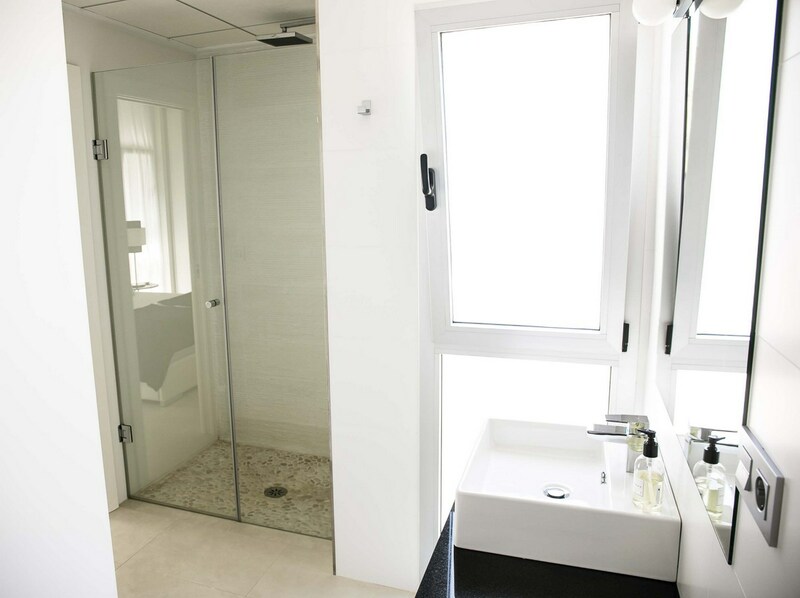 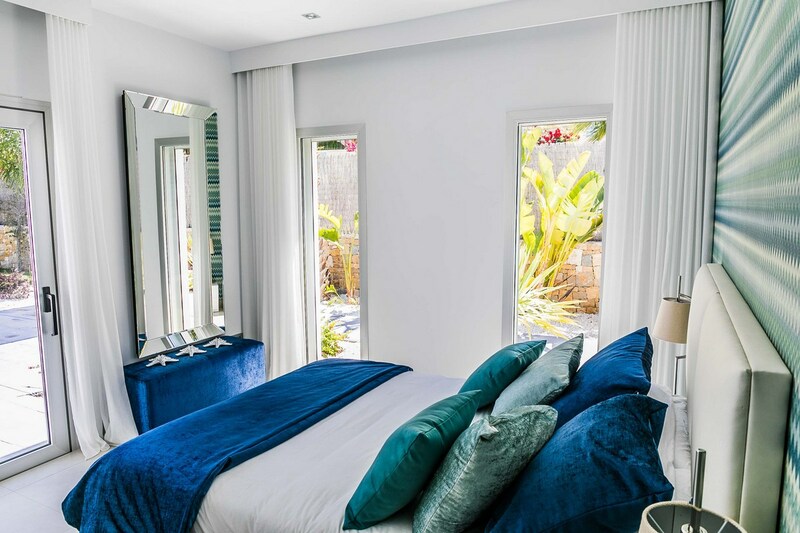 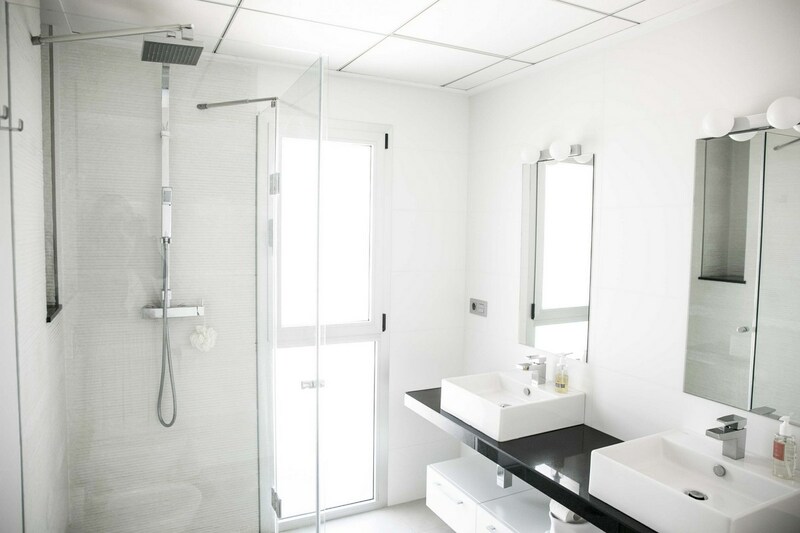 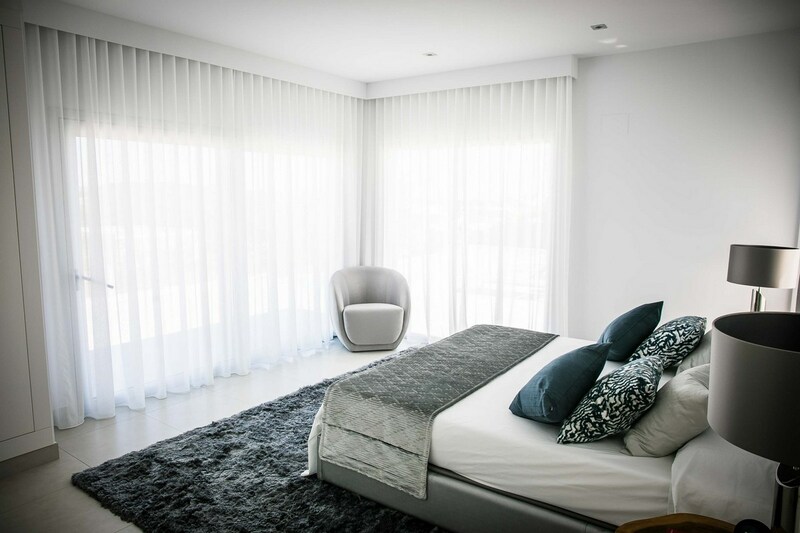 The entire property is equipped with under floor heating as well as conducted hot and cold air conditioning individually controllable for every room. 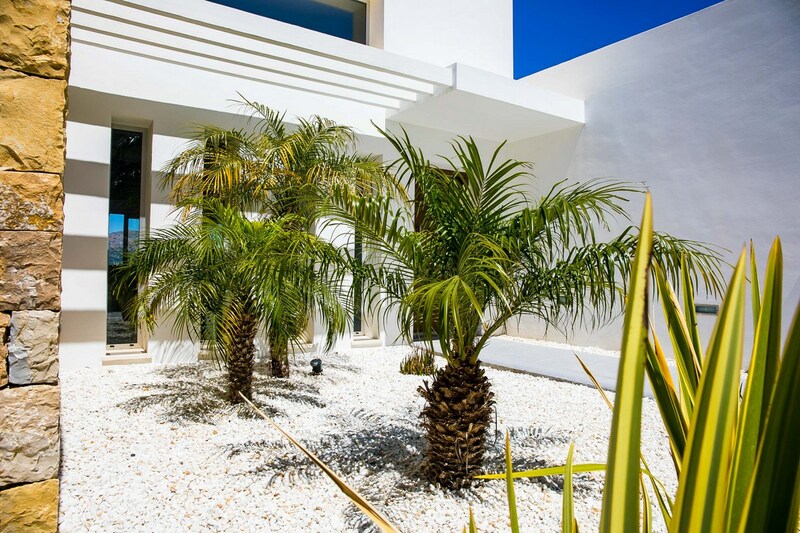 High standard double glazing, electric blinds and a heated pool make this luxury villa fit for a god.